2012 has long been heralded as the era for great beginnings and massive change, the time that a New Earth will emerge. With primal sound acknowledged as an organic catalyst for fresh formations, revolutionary dub technician, dr. Israel is jumpstarting the New Year with the introduction of an original superhero and multimedia project, "Ghetto Defendant." "Ghetto Defendant," serves as the prologue and first installment in dr. Israel's seven part series "The Liberation Chronicles," a rousing selection of short films and recordings telling the tale of the dreadlocked superhero. Ghetto Defendant, played by dr. Israel, is a bold insurrectionist battling an evil post apocalyptic corporate empire. With the EP release available for free download at http://www.drisrael.net, dr. Israel is defiantly declaring a new day in music, offering not only five potent dub infused, dancehall-reggae tinged, rock and hip hop influenced tracks, but also a multimedia buffet featuring a music video trailer, (co-produced with Brooklyn based director/ film maker Johnny Kraljevich), a teaser for a graphic novella, and a preview of the ebook short story. Guest artists include Killah Priest, Lady K, and Katrina Blackstone, with mixes by Bill Laswell. 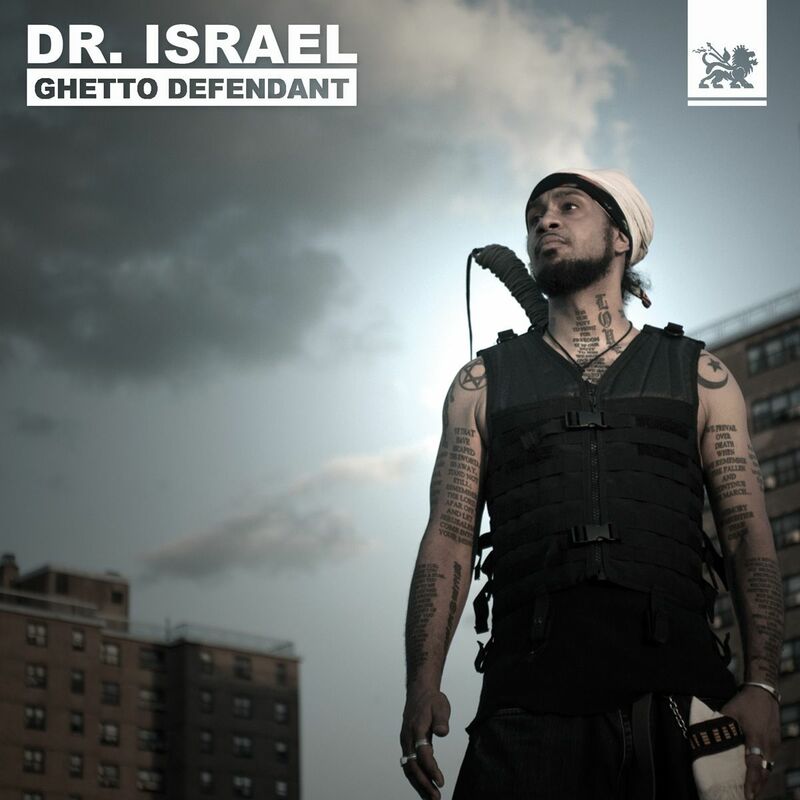 "Ghetto Defendant" is yet another expansion of dr. Israel's melodious core. An accomplished innovator, his capacity to seamlessly fuse traditional roots and dub with modern elements of drum & bass, rock, hip-hop and electronica have continually forged a distinctive fusion of genres. "Ghetto Defendant" resonantly paints a powerful saga of a vision where the struggle of man vs. machine and revolutionary vs. empire ultimately ends with the victory of creativity and love over politics and violence. dr. Israel explains, "The Ghetto Defendant is a reluctant superhero who exists in a futuristic society where governments have been bought out by a corporation called Omnicore. He's a guy who fights the injustices committed by this corporation. Speaking out against wrongs inspires me. I think 'Ghetto Defendant' is my most realized critique of the way our culture and society is. By creating this superhero character, I'm offering a hopeful alternative." dr. Israel is a Brooklyn based revolutionary artist, with releases on ROIR Records, Wordsound, and MOD Tech, as well as collaborations and remixes with music legends such as Bill Laswell, Mad Professor, Dr No, Sepultura, Rancid, Sublime, Lee Perry, Bernie Worrell, DJ Krush, and many others. He has received accolades from Rolling Stone, Vibe, LA Times, and The Village Voice and has performed on stages throughout the United States, Europe, Canada, Japan and Mexico. 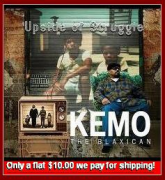 Following up on a long and fruitful discography including "Inna City Pressure" and "Patterns of War" as well as vocals and writing on Method of Defiance's "Jahbulon," and Lee Scratch Perry's "Rise Again," episode one from "The Liberation Chronicles," entitled "Love in a time of Violence" will drop in the fall of 2012.
dr. Israel invites you to challenge the New Year with music to free your spirit and incite your soul. Check out the music video trailer at http://vimeo.com/34458721 and download "Ghetto Defendant" for free at http://drisrael.bandcamp.com/ now... Viva la revolution!